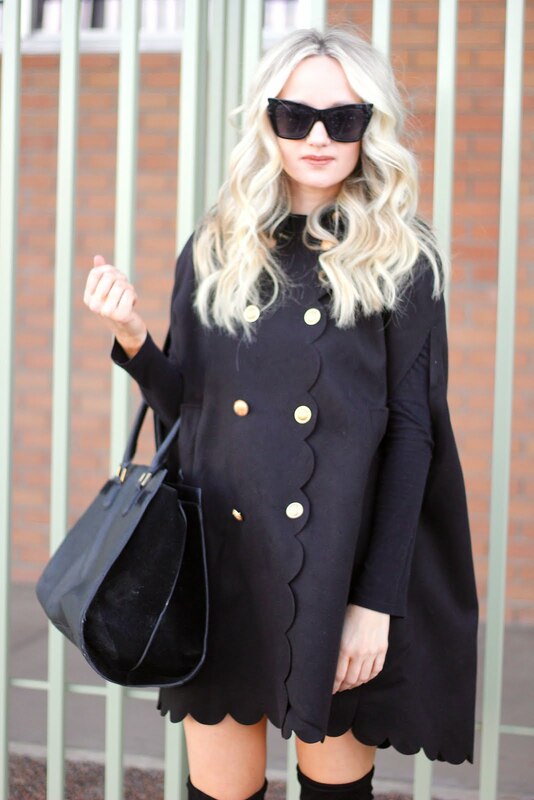 From the moment I laid eyes on this cape coat I was in love! It is that ultra sleek coat. It looks like a million bucks, but is only $30! It also comes in a pretty hunter green color too. I paired it with some OTK boots for a chic look. It would also look so good with a pair of black tights underneath.